When it comes to books on pregnancy, there’s no shortage of options to choose from. In fact, standing in the parenting aisle of any bookstore is enough to induce anxiety in even the most stalwart of parents-to-be. Deciding which book(s) to read in your journey to becoming a parent can be an overwhelming task. Not many in our group of friends have had kids yet, so we weren’t able to pick their brains for recos ahead of time. 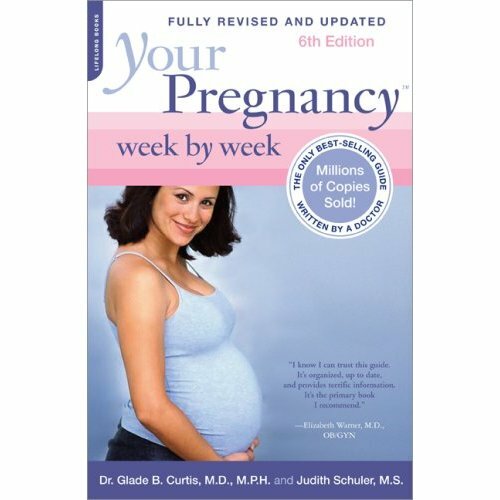 So, on a whim, I was searching through the rows upon rows of books when I came across ‘Your Pregnancy Week by Week’. It had everything I was looking for in a pregnancy book. Great week-by-week breakdown of changes happening to you and your growing baby. Sketches that help you visualize how baby is growing. Weekly exercises to keep you fit and limber your whole nine months. Natural solutions to some common pregnancy ailments such as heartburn and insomnia. A bonus section for the first few weeks post-baby. Not a ton of Canada-specific information on things like medical procedures and maternity benefits. Some weeks were a bit light on content. Some weeks did not correspond to when testing or other concerns would occur. Overall, I’ve been very happy with ‘Your Pregnancy Week by Week’ and plan on picking up ‘Your Baby Week by Week’ for after little one’s arrival. Mamas: What were your trusted books when it came to pregnancy? Note: I did not receive compensation of any kind for this review. I love your website and writings so much !